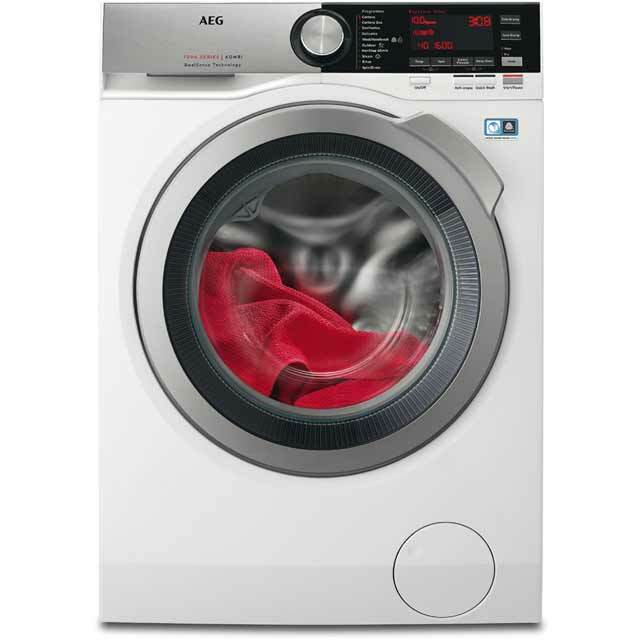 AEG’s revolutionary heat pump combo machines is sure to make waves in the laundry world. If space is at a premium you can now wash and dry in one go while saving energy in the process. 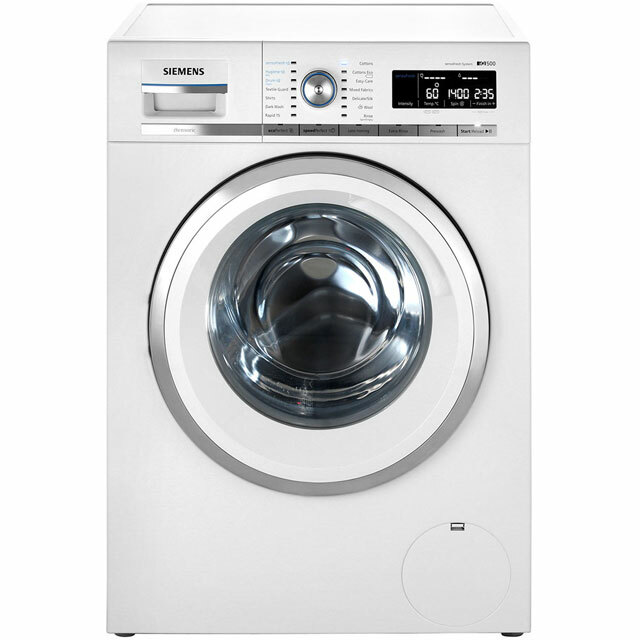 The new ÖKOKombi L99695HWD Plus, is the first front loading washer dryer to use heat pump technology. 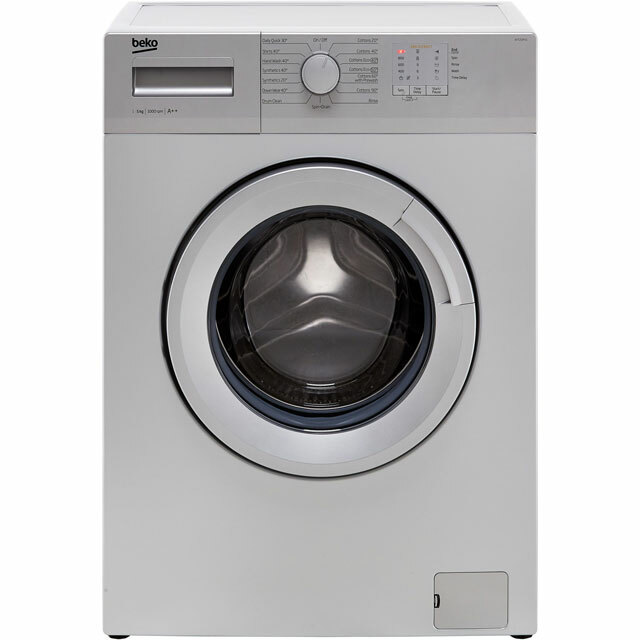 We have already seen how much it drastically lowers energy consumption in tumble dryers. 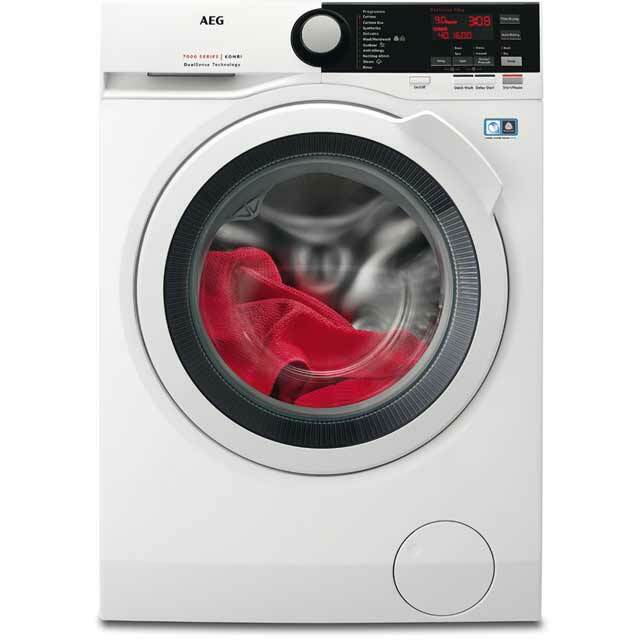 Now top of the range washer dryers from AEG come fully equipped with the new tech. 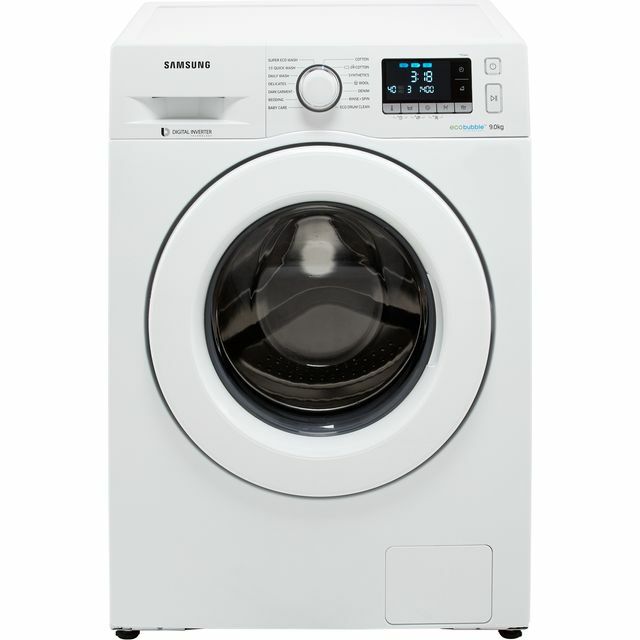 Quality rarely comes cheap so expect to pay more for a heat pump washer dryer. But this isn’t just a basic laundry appliance that washes and dries your clothes. 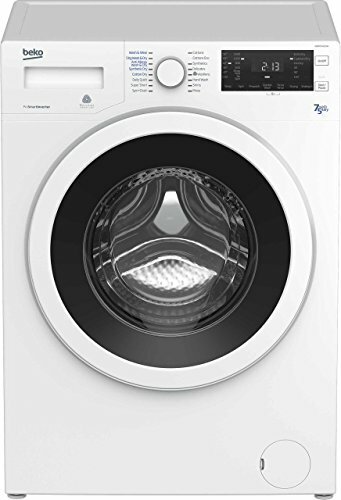 Thanks to the introduction of heat pump technology this washer dryer is the best in its class when it comes to energy efficiency and performance. 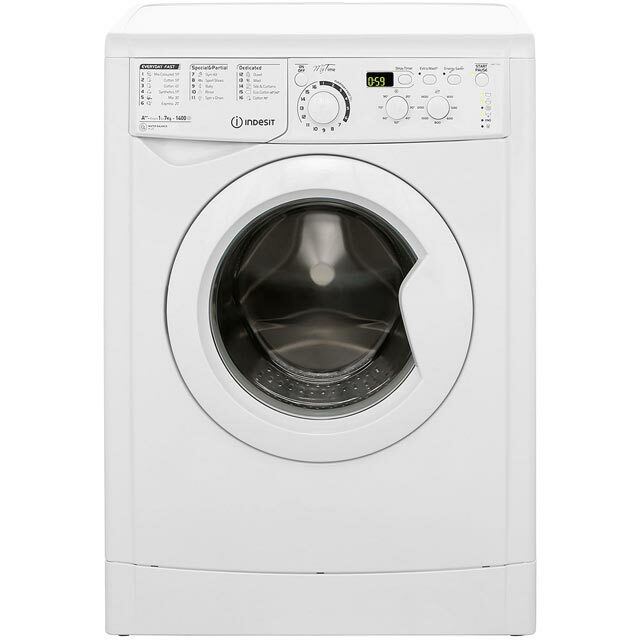 This large capacity all in one washer dryer machine has a 9kg wash/6kg dry max load. It uses 40% less energy and water to wash and dry your clothes. 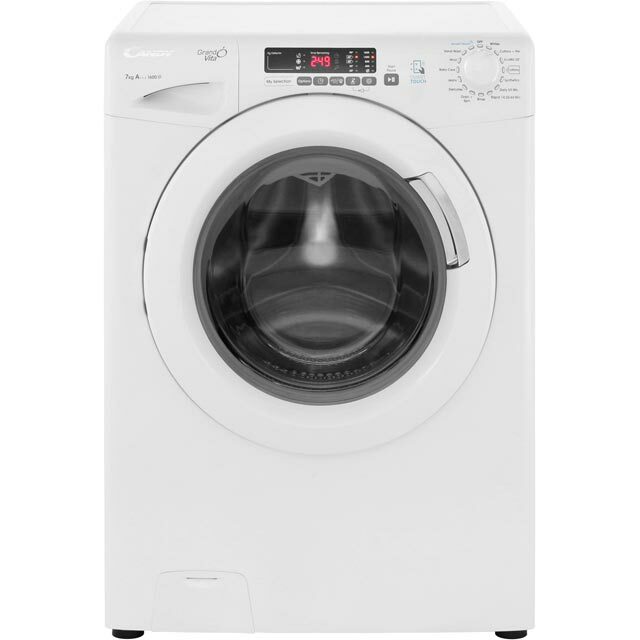 The A rated appliance also has a maximum spin spin of 1600 pm. 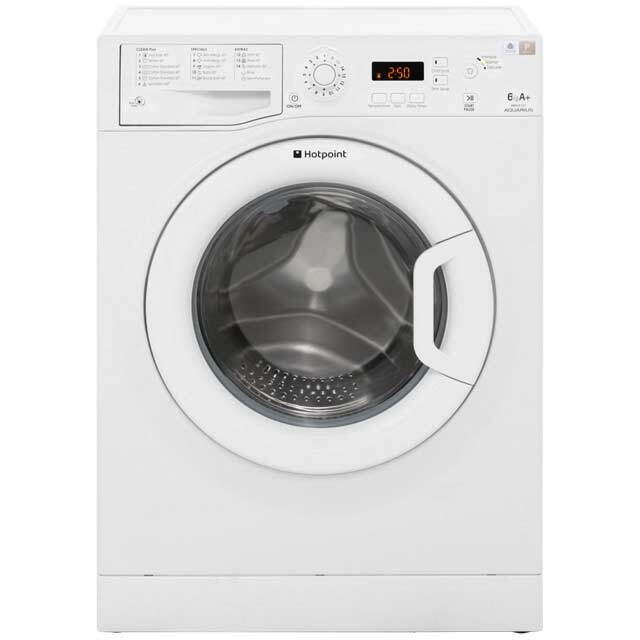 Key features include: final cool tumble, 16 programmes, delay start, hand wash, program sequence and time remaining indicator, quick wash, sensor drying and reverse tumble action. The permanent magnet inverter motor is very durable and quiet in operation. 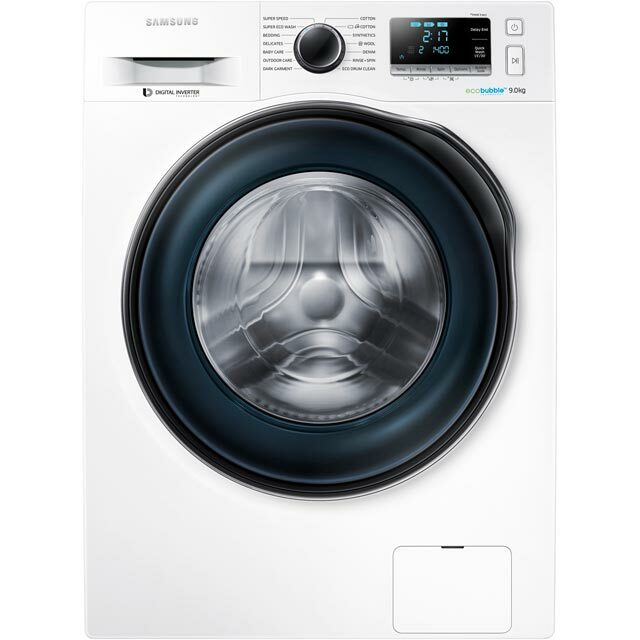 The SilentSystem Plus is incredibly quiet throughout the wash, drying, rinsing and spinning process and just 51dB when washing. The ÖKOKombi Plus has a smart looking design with LCD touch controls and stainless panel. Packed with time and energy saving qualities such as steam functionality. Great for refreshing delicate clothing and reducing the amount of ironing required. A soft steam cycle delivers crease free results every time taking the hassle out of wash day. Other programmes include: synthetic, delicate, wool, stain action, easy iron and sensitive option with extra rinse. There is a fast spin ensuring the laundry is dry enough for the tumble sequence. 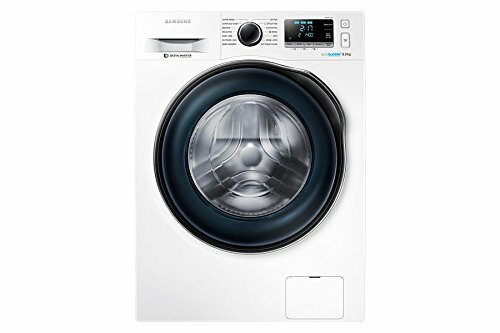 Sporting a Woolmark Blue label means this combo washer dryer will also be kinder to clothes. 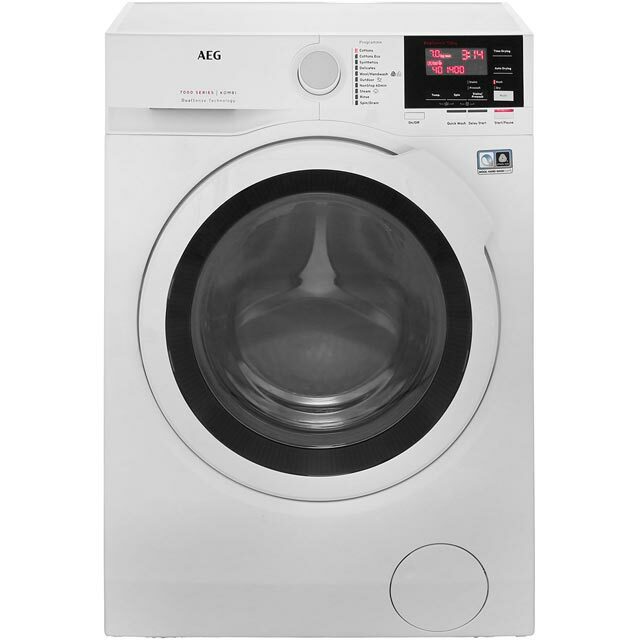 Using OptiSEnse technology, the AEG machine automatically measures the amount of laundry and adjusts programme settings to maximise performance. The 9kg Protex Soft Drum designed with its tiny rounded holes treats even the most delicate fabrics in the gentlest possible manner. 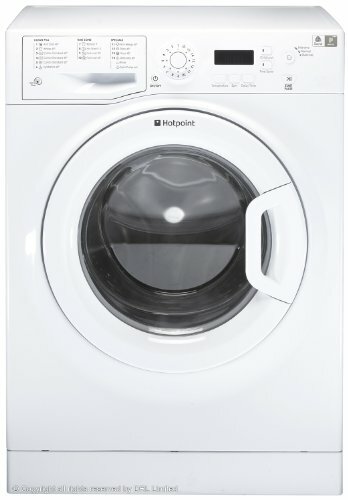 The heat pump washer dryer AutoOff is another energy saving feature that conveniently switches off ten minutes after the cycle ends. aeg, manufacturer 1600rpm, 6kg dryer, 9kg, freestanding, heat pump, quiet, reverse tumble, steam, touch control, washer dryer. permalink.